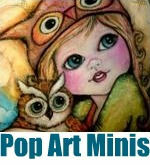 Pop Art Minis: 40 Days Till The Big Day! Creative Ways to Countdown to Christmas? 40 Days Till The Big Day! Creative Ways to Countdown to Christmas? 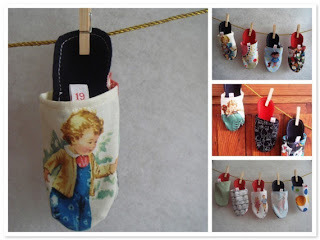 With only 40 days left till the big day I thought it would be fun to do a google search to find creative ways to share in the countdown to Christmas. 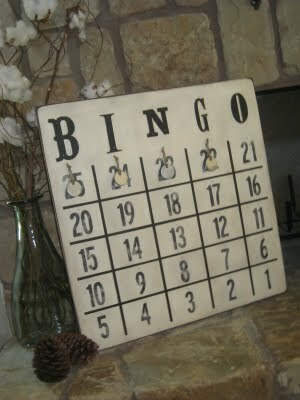 Those special little advent calendars that make the holidays so much fun and filled with anticipation. Here's my top picks for the big Count Down . . . 40, 39, 38, 37 . . . you get the picture! How clever is this? Scrapbooking a cookie sheet in the form of a calendar makes the season a baker's delight! check out the how do from this link! Courtesy of Making Memories and the Creative Katie from California who is full of "scrappy" and amazing ides! LOVE IT! Candy and a special message inside each little tin! Fun, colorful and definitely creative! Thanks to Christy Nelson for this fun idea! I love pennants and this idea is quick and easy and adds a festive touch to holiday decorating. Courtesy of Nini Makes Be sure to check out the link...lots of fun crafting ideas here too and even a pattern for the pennant...which can be made out of so many materials from kraft paper to felt and everything in between! 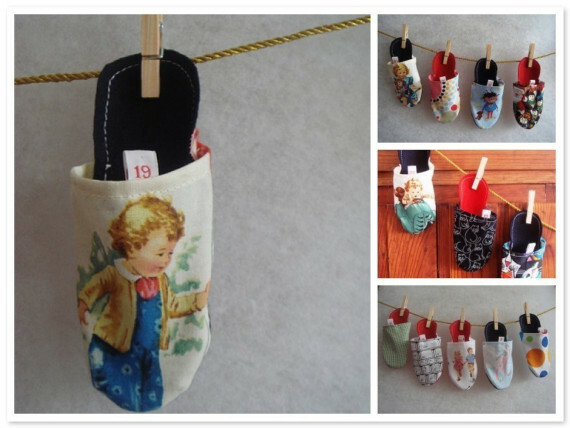 Adorable little slippers each with a numbered tag tucked inside hang on a clothesline announcing the Countdown event! Sooo sweet! Created by the Great Craft Disaster . . . which is not a disaster at all! 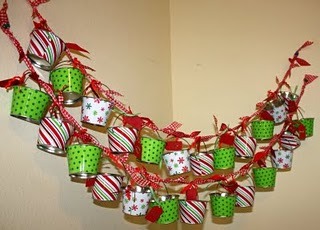 Colorful tin buckets tied off with festive and fun ribbons all hung on a line make this one idea I had to share! This is one envelope that will not go unnoticed! Created from color papers and lots of fun scrappy details then hung on a line perfect for the pickin' Check out how to make this Advent Creation at Maya Road Design Team for a banner event at your home this year! BINGO! This one's a Winner! I think this might be just the card I was looking for to inspire my 2010 Advent Calendar! 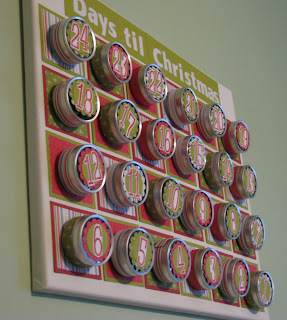 Do you celebrate the countdown to the big day with an Advent Calendar? 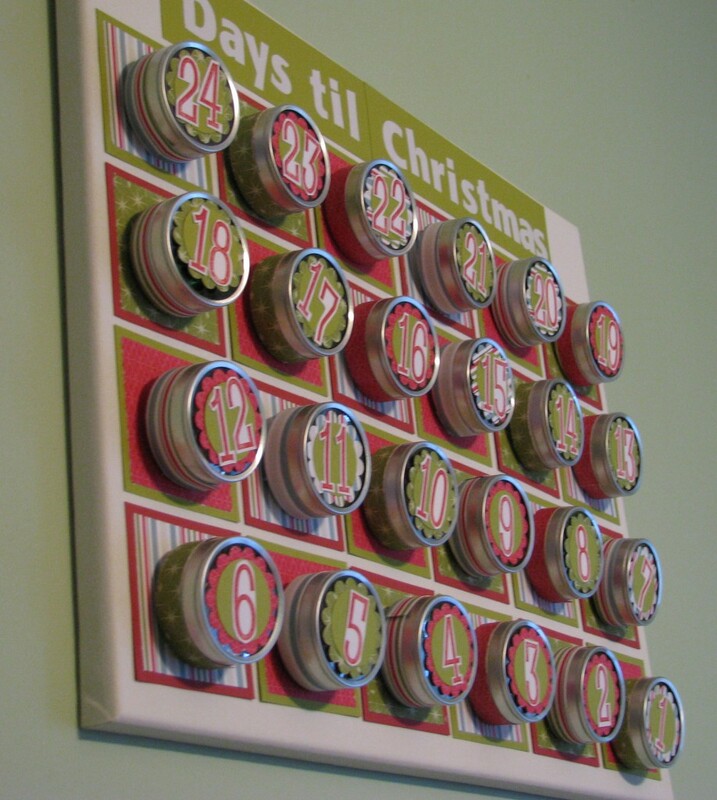 Have you created an awesome Advent Countdown? Please share a pic or link to your countdown creation! What lovely ideas, all so festive and creative! 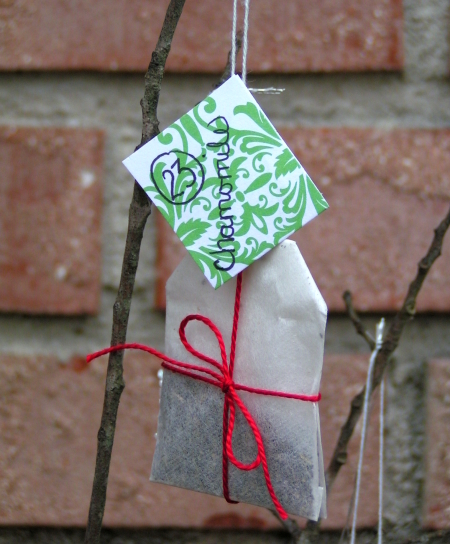 LOVE the tea bag idea especially. Would make a great gift! My kids enjoy the traditional chocolate advent calendars and then we have a larger sewn one of a Christmas tree that the kids adhere ornaments to - as they mark the days. My mom made it for them. Thanks for sharing. I hadn't considered doing this at all, but you inspired me. I love the little buckets on the garland. Love! Dream! Shine! Art #GIVEAWAY! 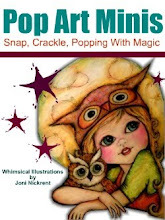 CRAFT CANDY...Deliciously Creative #Giveaway...Cool Crafts for Tweens!